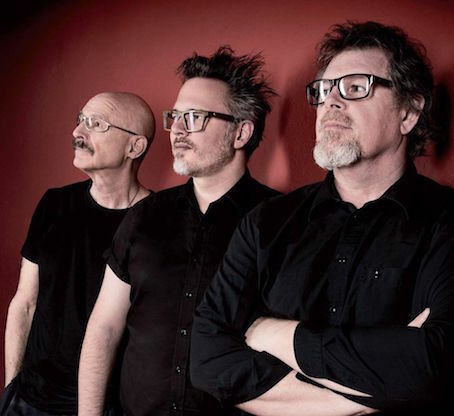 EXCLUSIVE: INTERVIEW WITH TONY LEVIN OF KING CRIMSOM, STICK MEN AND LEVIN MINNEMANN RUDESS !! 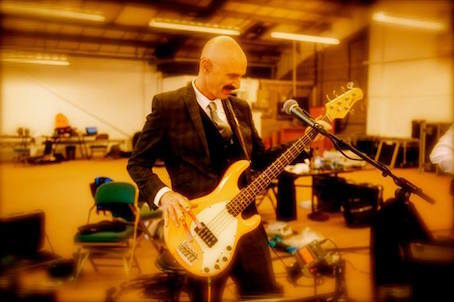 Legendary Bass Player, Tony Levin Talks About King Crimson, Stick Men, Levin Minnemann Rudess And More !! 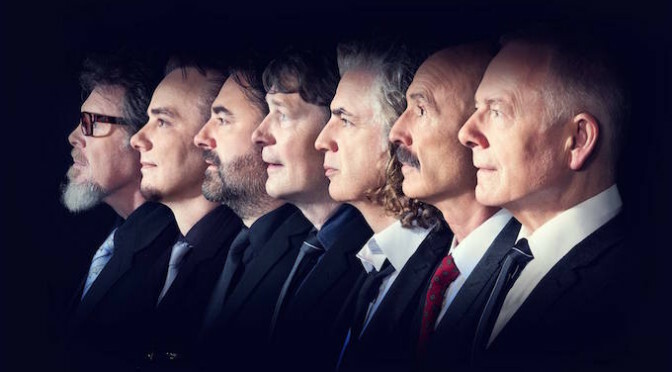 Q1: First of all, how was the King Crimson Japan Tour 2015? You were in Japan about two weeks. We could take photos while you had camera, thx haha. Did you enjoy our country and concerts? How did you change set-lists every night? 【TONY】: It was quite a special tour for me. I have been to Japan many times, but never for that many shows, and it was a chance to really settle into Japan (and get over the jet lag from coming there!) Yes, we ask the audience to only take pictures at the very end of the show, and that’s when I also take pictures, for my website’s tour diary. It makes the show better for everyone when there are no cell phones interfering with your view of the stage, so we have been trying to get audiences to hold off on their photos until the music is done. We changed a few songs in each night’s show – not really a lot, so everyone was getting to hear the most popular classic Crimson songs we do – but we like to change it a little, for those who come to more than one show. Q2: KC new box set, “Radical Action To Unseat The Hold Of Monkey Mind” is just out now! We can hear the live recording of Takamatsu set. Actually, I was there, definitely amazing night. But what made you choose Takamatsu concert for the release? 【TONY】: I am not the one in charge of choosing which shows make it to the album, so I don’t really know about the Takamatsu version being used – it must have been a very good performance. 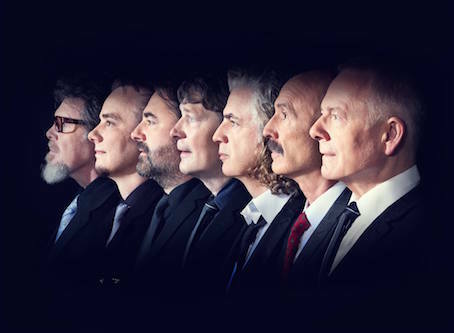 Q3: What do you think about the current line-up of King Crimson? From the view of Bass player, how do you feel about triple drums? 【TONY】: It’s always a challenge being in King Crimson, in many ways. One of those has been playing bass with three drummers. The surprise for me has been that the drummers worked out ways of dividing the drum parts among them so that it’s not cluttered – it’s not at all like three drummers playing the same part. So that let me play a little busier than I expected to. I have changed my sound a little – going for more midrange and a little less low end, because the toms and bass drums create such a heavy texture there – but having this new drum approach has been surprisingly fun and gratifying. And I know it’s a good experience for the audience too. Q4: It’s called “Vitual Studio Album. 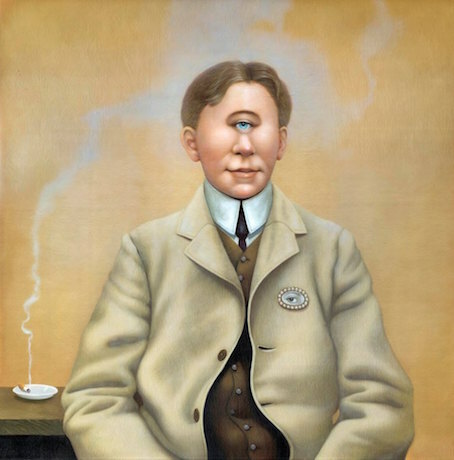 So, can we hear new “Studio” record of King Crimson near future? If so, what kind of album will it be? 【TONY】: I don’t know when albums will come out — but we record all shows, and that’s become in a way our new manner of recording a ‘studio album that’s live.’ So, because we are always adding new material including classic Crimson pieces, I’d predict there will be albums coming out that are recorded at concerts but have studio quality playing and sound. Q5: Anyway, you’ve just released another new record, and set to release one more new record. Definitely workaholic, haha. 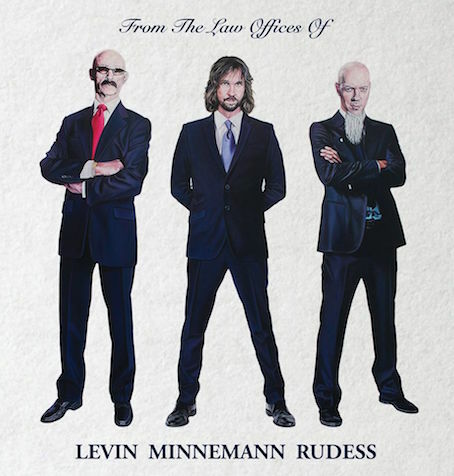 So, do you think Levin Minnemann Rudes is kind of the project of continuation of Liquid Tension Experiment? Or new musical challenge for you? 【TONY】: LMR is a great challenge for me, the other players are real virtuosos, and (like LTE) it’s great fun for me to try to keep up with them! I feel we wrote some very good material on the new album – quite a bit different than on the first – and we’ve settled into knowing what to expect from the other players when we write pieces for the group. It’s the writing that’s important for that kind of collaboration (or a ‘project’ as we sometimes call them.) When you put good players together the playing will always be very good, but not being a band, you don’t have time to work on writing the best material, rejecting some pieces, and developing your style… so I often end up project albums wishing we had had more time to write. 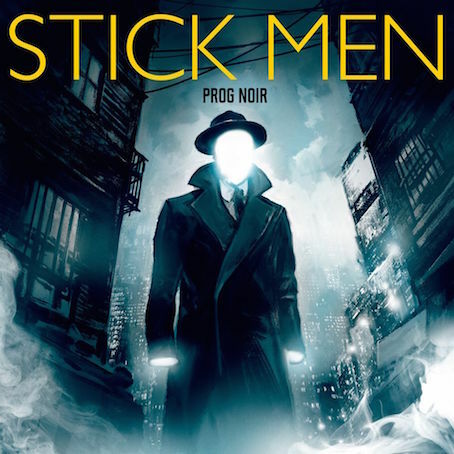 In this case we took quite awhile and the feeling is that we came up with good material for the album..
Q6: OK, Stick Men will release new record “Prog Noir” on October. “Prog Noir” means “Black Prog”, What’s the meaning behind that? What’s “Prog” to you? 【TONY】: The “noir” in the title refers to being ‘dark’ (in fact, ‘film noir’ is the inspiration for some of the material.) For example, the song “Prog Noir”, which has lyrics, somewhat follows a band riding it’s van through rainy nights and trying to use their music to bring light to the night life that’s otherwise dark. This is a major release for Stick Men, having taken years to get the material the way we want. And I think the band has really come into it’s own with this album – having a sound and style that’s unique to us. That happens partly because we tour really a lot, and all those hours of playing together in front of audiences has cemented the feeling we have when playing together. So we’re very happy about this album, and we look forward to it’s release in October, and we will come to Japan next February to play the music from Prog Noir, as well as some Crimson pieces and more of the Stick Men music we’ve played in the past. Q7: Stick Men has just released “Midori” which is live recording with David Cross. 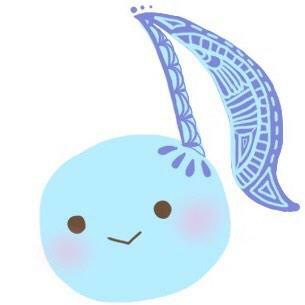 How was the collaboration with him? Didn’t you think making a new record with him? 【TONY】: David is a great musician, and it was a pleasure doing the live shows and recording with him. There are no plans to do more things together, but we all have it in mind to try to find a time to do that, because it worked out well. Q8: “Stick” isn’t still popular instrument. What do you like “Stick”? Do you want to make it more popular near future? 【TONY】: The full name of the instrument is the Chapman Stick (because it’s invented by Emmett Chapman.) I really like the instrument for playing my bass parts, and also it has guitar strings, which I use especially in Stick Men. For playing in progressive groups, as I do, it’s very helpful to have an instrument that’s not the usual tunings and techniques — that enables me to come up with parts that are outside the normal ones, so, trying to have a sound and approach that is really ‘progressive’, it’s been a great help to me. Q9: So, I was big fan of Bozzio Levin Stevens. Do you keep in touch with them? Is there any possibility to get together again? 【TONY】: We haven’t spoken recently about doing more, but I agree with you that the music was very special from that collaboration. And I do hope that someday we get to do more. I will return early next year. See you soon!